The last remaining examples of the first depiction of black comic book heroes sat forgotten in storage for decades. Pittsburgh Courier, one of the nations preeminent black newspapers, published a series of color comics featuring four black heroes from 1950 to 1954, a full generation before the first black heroes appeared in the mainstream. One of those heroes, The Chisholm Kid, is on exhibit at the National Cowboy & Western Heritage Museum, 1700 NE 63rd St., through Sept. 21. 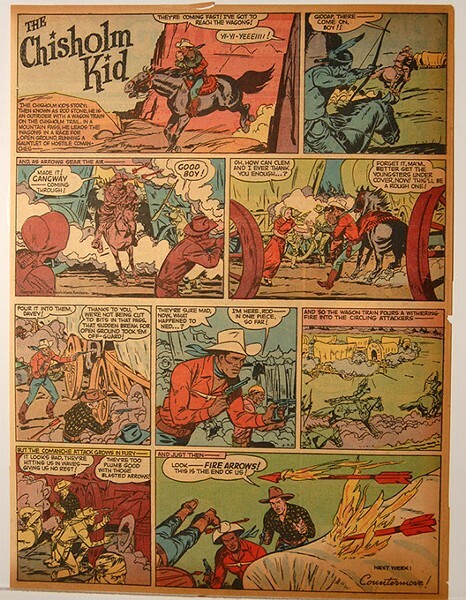 The color comic insert that also included Guy Fortune, a U.S. secret agent; Mark Hunt, a private investigator; and astronaut Neil Knight was a collaboration between the Courier and publishing company Smith-Mann & Associates whose partner Jon Messmann was good friends with the editors of the Courier, the Vann family. After the inserts color edition ended in 1954, it continued in black-and-white for another two years before being discontinued with nearly all examples of the revolutionary depiction lost to time, until 2014. In 2014, Alan Messman found galley proofs of The Chisholm Kid comics in some of his fathers boxes. Alan Messmann, Jons son, discovered galley proofs of the comics after moving much of his late fathers belongings from New York City to Little Rock, Arkansas. After months of unpacking, Messmann and his wife had one final box. He opened it to find a big canvas cloth surrounding a giant leather-bound case sealed in cardboard sheets. The colorful proofs shined back at Messmann like a historic jewel. Messmann eventually found a home for the comics at the digital Museum of UnCut Funk, which houses many comics and images from the late 1960s and 1970s, but found the series from the Courier to be unprecedented because of its limited circulation. National Cowboy Museum will shine light on the breakthrough of The Chisholm Kid while also commemorating the 150th anniversary of the Chisholm Trail, the heros namesake. After the Civil War, as many as 6 million cattle were located in southern Texas. Drovers wanted to get the cattle out of Texas and up to Kansas City and Chicago, where the beef could be sold for as much as ten times what it could in Texas, according to Don Reeves, the National Cowboy Museums curator and McCasland Chair of Cowboy Culture. Many of the drovers on the trail from south Texas through current-day Oklahoma and into railheads of Abilene, Ellsworth and Dodge City, Kansas, were black, Reeves said. Some of the heroes represented in the Courier inset, including The Chisholm Kid, were drawn by white artists like Carl Pfeufer, who got his start at Marvel Comics. Pfeufer illustrated The Chisholm Kid and was one of the original artists for Marineman, which later became Sub-Mariner. 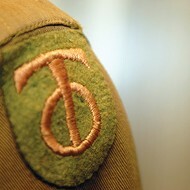 Messmann said his father always had a penchant for making things unique. The comic insert gave Smith-Mann one his first opportunities to use four-color separation, and the Courier was the first black newspaper to publish in color, according to Messmann. The ideas for the comics were born between dinners of Jon Messmann, his wife and the owner of the Courier. The Chisholm Kid was published in Pittsburgh Courier from 1950 to 1954. 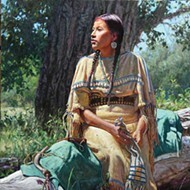 The exhibition featuring the trailblazing Chisholm Kid is one of many at the museum with a commitment to the kaleidoscope of the West, according to Reeves. Buffalo soldiers; black rodeo champions; and Herb Jeffries, the Bronze Buckaroo, Hollywoods first black singing cowboy, are among those exhibited. 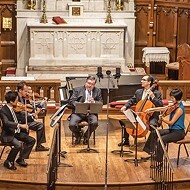 Its about presenting an open window of the West, Reeves said. The Chisholm Kid is an example of an urban Pittsburgh culture adopting a Western hero and a really cool vignette. Its not so much what [The Chisholm Kid] did, but who [he was]. 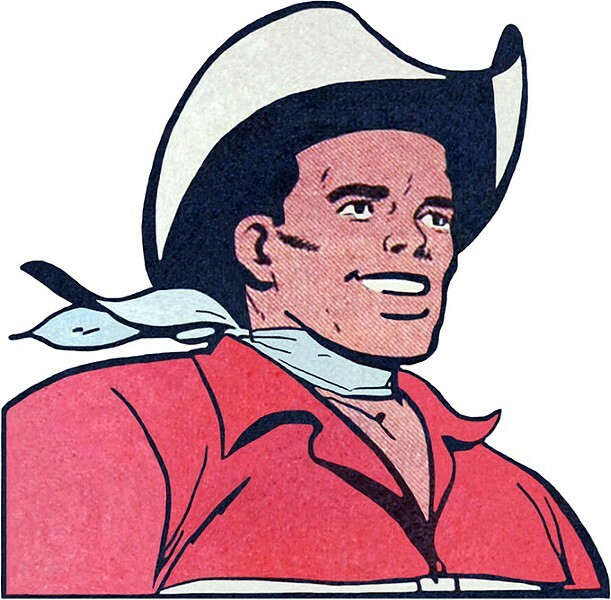 The fact he could become a positive figure and hero for young people who didnt have any heroes who looked like them, really just The Bronze Buckaroo. The exhibition is the first featuring The Chisholm Kid in full and large display. Messmann is hoping to make the trip from Little Rock with his 90-year-old mother. The museum is open 10 a.m.-5 p.m. Monday-Saturday and noon-5 p.m. Sunday. Admission is free-$12.50. 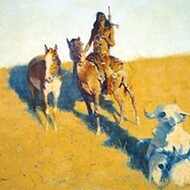 Visit nationalcowboymuseum.org. 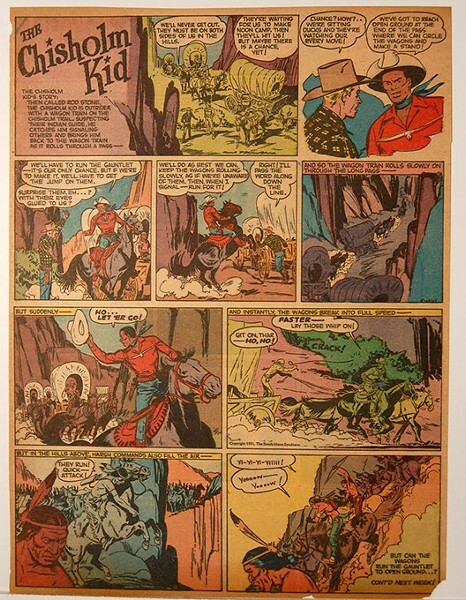 print headline: Comic Gold, A Cowboy & Western Heritage Museum exhibit highlights forgotten comics of The Chisholm Kid found in boxes. National Cowboy & Western Heritage Museum 1700 NE 63rd St.